A lot of my mummy friends rave about Polarn O. Pyret, so when we were given the chance for James to try one of their Shell Jackets, I absolutely jumped at the chance. I have been eyeing up Polarn O. Pyret clothes at John Lewis, but never really got around to getting them. Our little ones grow too quickly, don’t they? Especially in the first couple of years. 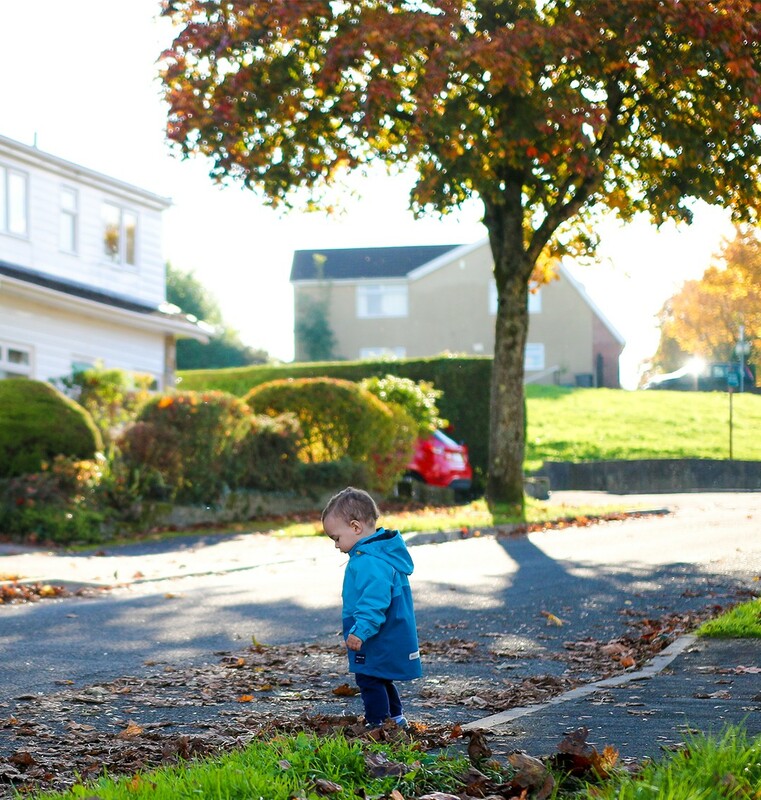 I see James outgrowing his lovely clothes all the time – he wears them for a few months, sometimes weeks, and then they are suddenly too tight, too short. So I always wonder – is it worth buying more expensive and good quality pieces or shall I just stick to cheaper alternatives whilst he’s growing like weed? The simple answer for me has been to buy the bulk of this clothes from cheaper shops and supermarkets, but always have a few more expensive items, which I consider to be an investment. A good pair of shoes and a durable coat – these are the usual two things on which I don’t mind spending a bit more money. I know he’s going to wear them pretty much everyday for at least 6 months, and I may even be able to pass it on to baby girl, when she arrives and is old enough. 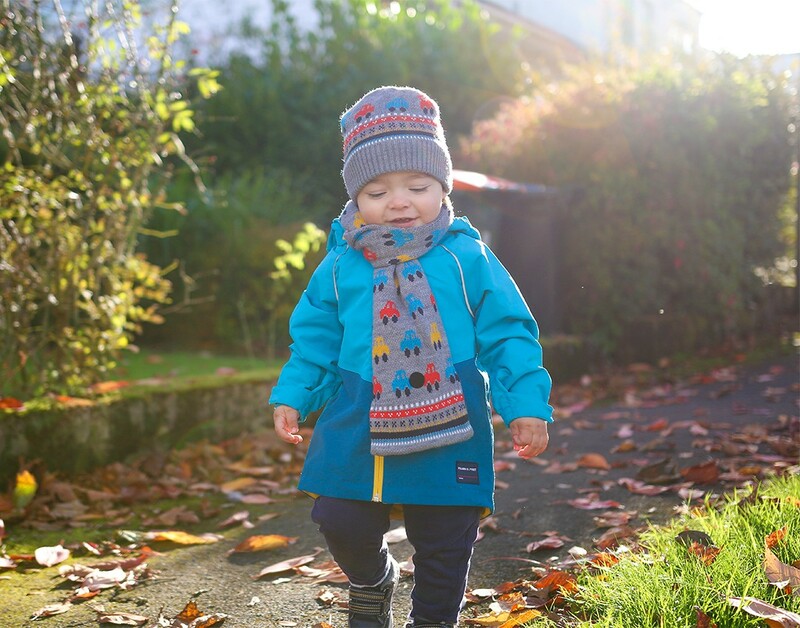 Polarn O. Pyret have been designing outerwear especially for children for over 40 years, so they really know what they are doing and how outerwear is supposed to be made for little ones. 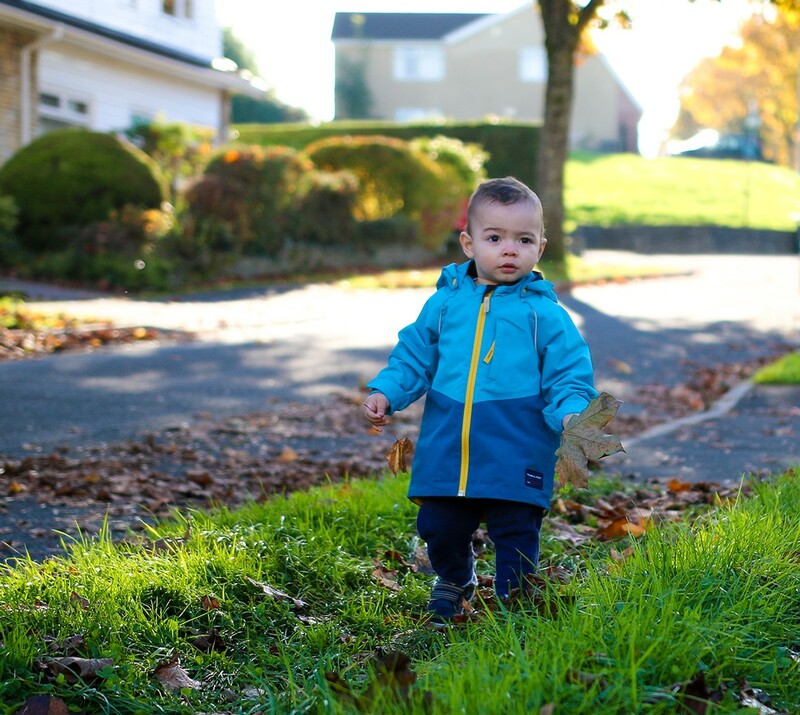 I love their philosophy of ‘let children be children‘, making clothes that are not only great quality to withstand harsh weather, but also functional to allow the kids to have fun and move freely and comfortably. 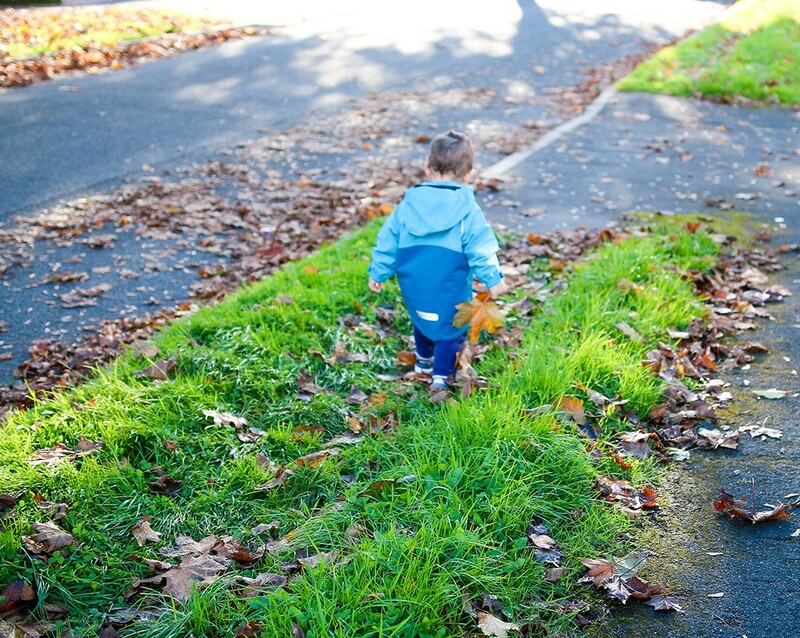 My way of thinking is – get muddy, run around the park, lie on the ground and roll over the Autumn leaves, make snow angels. I don’t mind any of that! 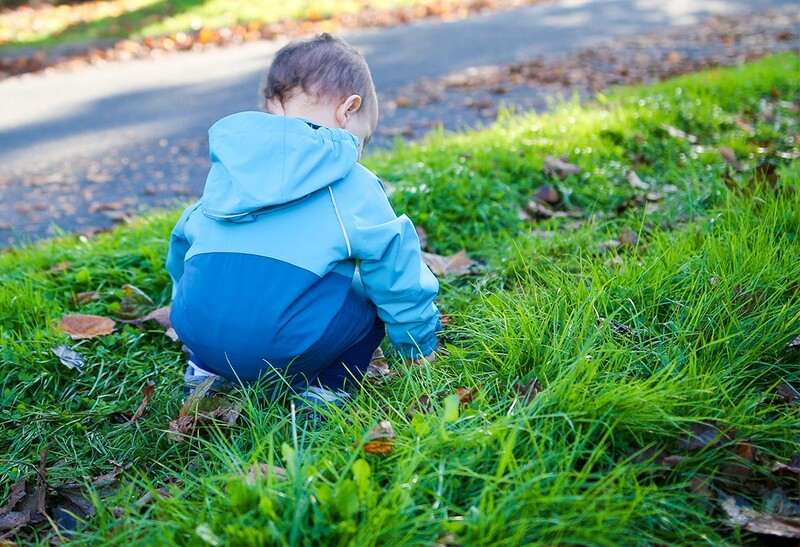 But if my little boy is out and about exploring, I want to make sure, first and foremost, that he is well protected and comfortable. 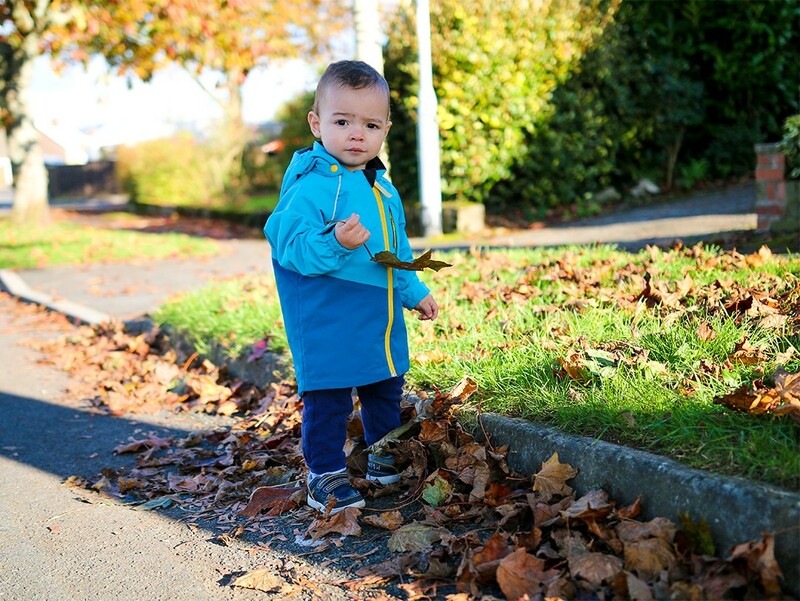 The Polarn O. Pyret Shell Jacket ticks all the boxes I expect to see on a high quality durable jacket for kids; it’s lightweight, with breathable lining and flexible pre-bent sleeves. I love the adjustable sleeve cuffs so I can tighten it or loosen it depending on how many layers James is wearing underneath the jacket! 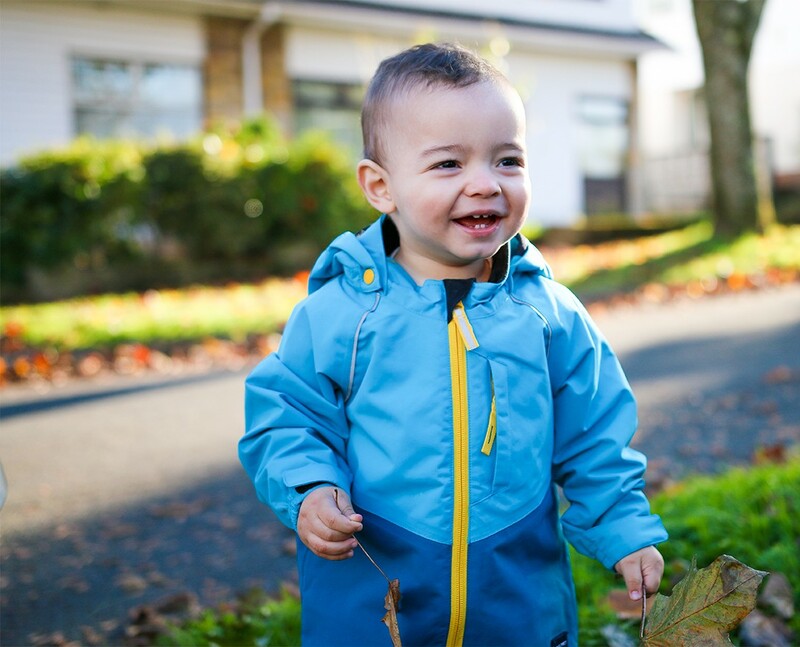 It has a detachable hood, adjustable waist and reflectives all round. 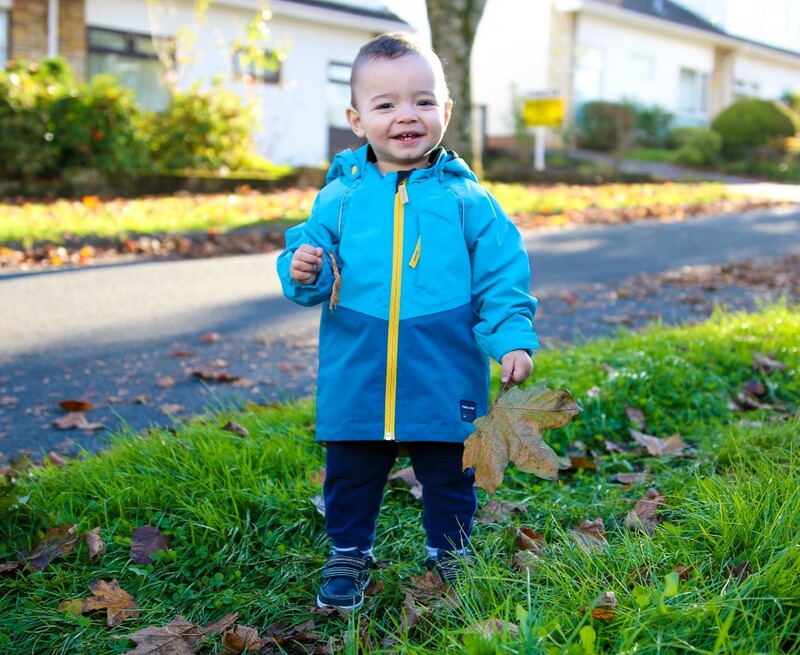 It is, of course, waterproof, windproof and machine-washable. But my favourite feature has to be the internal poppers, which connect to the Polarn O. Pyret Fleece Jackets, turning this lightweight jacket into a winter coat! So you’re really getting your money’s worth out of this 3-in-1 jacket: an all-year round light rain coat without the fleece, a coat to layer up for the mildly cold Autumn and Spring months, and a Winter coat with the fleece. It’s available in pink, blue, yellow or red, so there’s wide ranfe of unisex colours to pick and can be handed down from brother to sister, which is exactly what we will be doing. 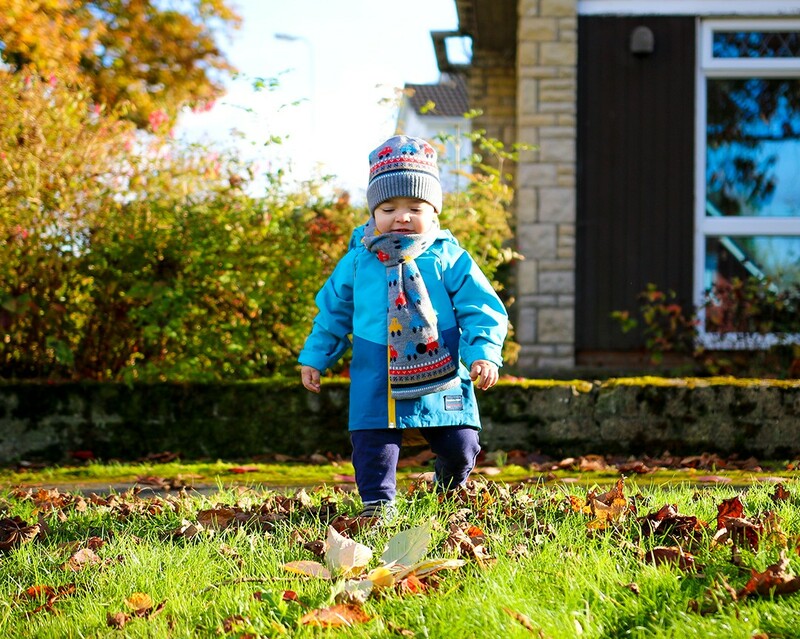 We have been thoroughly impressed by the Polarn O. Pyret Shell Jacket and I will definitely be getting the Fleece Jacket to turn it into a Winter coat for James. He looks so cute and snuggly in it – I went for half a size bigger than his usual size so he still has space to grow and to layer up. If you liked the look of the Polarn O. Pyret Shell Jacket, you can find it at John Lewis and House of Fraser online or on the Polarn O. Pyret website. The Shell Jacket is currently priced at £55 and the Fleece Jacket at £38. PR Sample sent for review consideration.